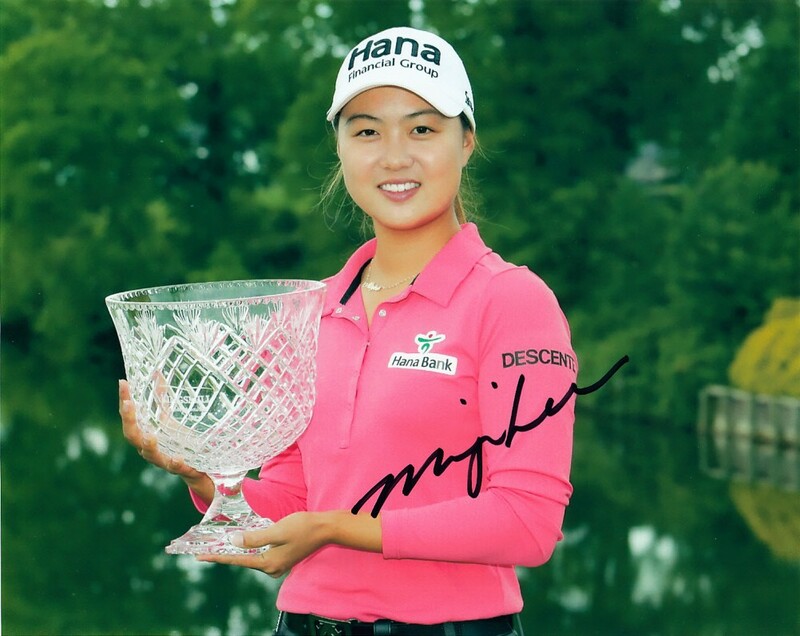 8x10 photo of Australian LPGA Tour star Minjee Lee with the 2015 Kingsmill Championship trophy (her first LPGA win) autographed in black Sharpie. Obtained in person, with certificate of authenticity from AutographsForSale.com. ONLY ONE OF THIS POSE AVAILABLE FOR SALE.